Despite BUHARI failing largely to involve women in his government during the first term, women are are already dreaming big for his second term. 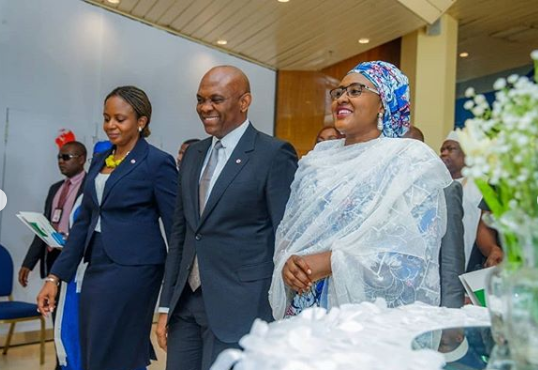 Wife of the president, Aisha Buhari, has said she wished her husband cabinet will have as many women in percentage as the Tony Elumelu Entrepreneurship Programme, TEEP, has in 2019. Speaking at the unveiling event for the Tony Elumelu Foundation, TEF, entrepreneurs for 2019, the wife of the president said she appreciated the drive of the foundation to ensure more female participation. She said: “The strategy vision behind the engagement of the office of the wife of the president is to contribute to the acceleration of efforts to end preventable maternal, newborn and child death through advocacy and strengthening of accountability mechanism in order to maintain the peace and development of Nigeria.